In this changing classroom environment, we understand that teachers need more than products, they need resources and solutions. Here are a few STEM resources that we have created that offer this support. 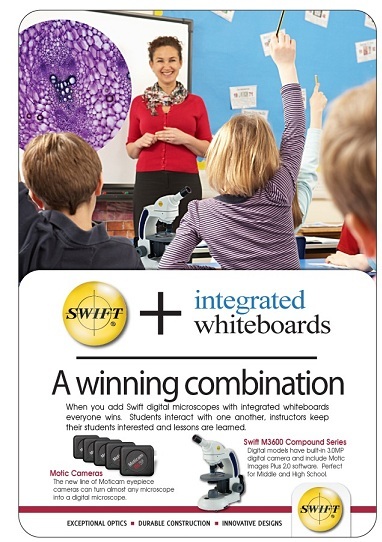 "Smart Teachers Expect More and they get it with Swift!" Let us help you discover how Swift microscopes and digital products may be used in your STEM classroom.